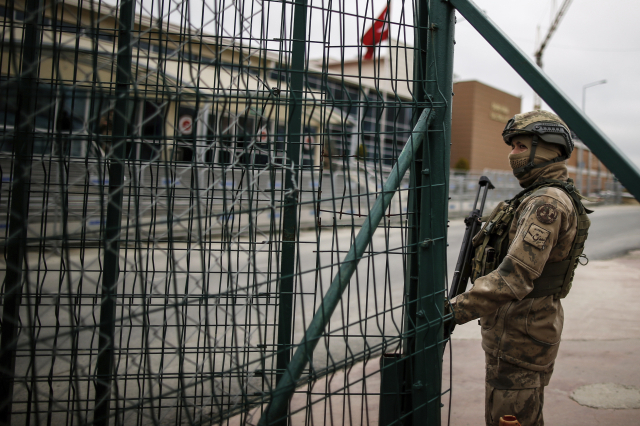 ISTANBUL (AP) — A Turkish court on Friday sentenced six journalists and media employees accused of involvement in Turkey's 2016 failed coup attempt to life in prison without parole, the state-run news agency reported. The Anadolu Agency said the court in Silivri, on the outskirts of Istanbul, convicted prominent journalists Ahmet Altan, Mehmet Altan and Nazli Ilicak and three other media employees of crimes against the state. One defendant was acquitted. "This is a dark day for press freedom and for justice in Turkey and sets a chilling precedent for scores of other journalists facing trials on similar trumped-up terrorism charges," said Gauri van Gulik, Europe Director for Amnesty International. They are the first journalists to be convicted over the July 15, 2016, coup attempt, which Turkey says was orchestrated by a network led by U.S.-based Muslim cleric, Fethullah Gulen. The cleric denies involvement. Their conviction came as another court in the same courthouse ordered German journalist Deniz Yucel — who has been detained in Turkey for a year — released from jail pending trial. The defendants were charged with attempts against Turkey's constitution and membership in a terror organization. They were employed by Gulen-linked media organizations but have rejected the charges, denying any involvement in the coup attempt. They were given "aggravated" life sentences without the possibility of parole and other rights. "Of course we are going to appeal the verdict," Mehmet Altan's lawyer, Ergin Cinmen, told The Associated Press. "It's a decision of the century and will need to be taught in law schools." "It's a decision where freedoms of expression and thought have been destroyed," he said. More than 38,000 people, including journalists, are in jail as part of an ongoing large-scale Turkish government crackdown on Gulen's followers launched after the coup. More than 110,000 others have been sacked from government jobs. Many proclaim their innocence. "These verdicts, the first against journalists accused of being connected to the July 2016 failed coup, set a devastating precedent for the many other journalists and writers in Turkey who are being tried on similarly spurious charges," said Jennifer Clement, president of PEN International. Ahmet Altan, a former newspaper chief editor, and his brother, Mehmet Altan — a columnist and academic — were accused of appearing together with veteran journalist Ilicak in a political debate show on a Gulen-linked television channel. Prosecutors deemed that their comments indicated they had prior knowledge of the coup attempt. In January, Turkey's Constitutional Court ruled that Mehmet Altan and Sahin Alpay — another journalist being tried separately — should be released pending the outcome of their trials. But a lower court refused to implement the decision, raising concerns about rule of law in the country.